Coda Effects - Cheap resistor is cheap ! Coda Effects News Tips Cheap resistor is cheap ! Cheap resistor is cheap ! I needed to get myself a stock of resistors of different values. It can be very useful when you want to try different values or when you forgot to order THE resistor that you absolutely needed! I got this 1280 metal film 1% resistors pack on Amazon. 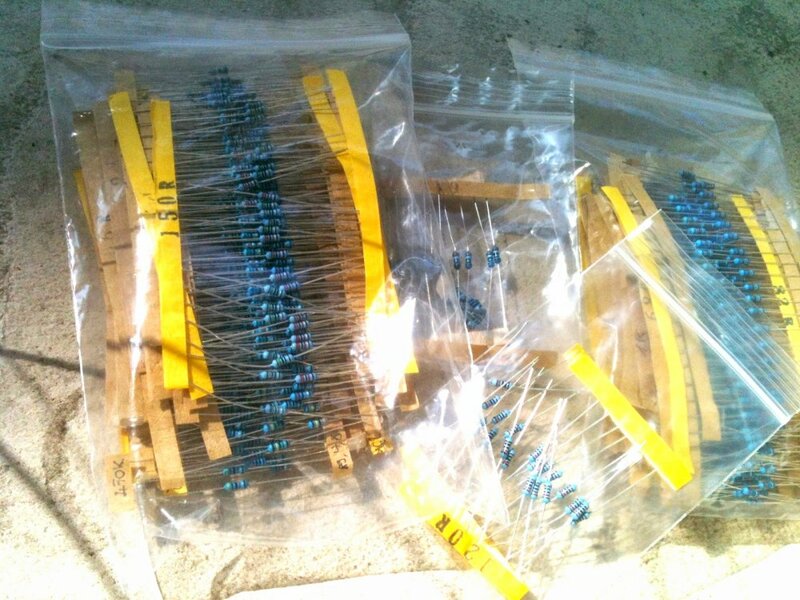 There are plenty of offers of the same kind, it is directly imported from China, and resistors are perfectly fine. I measured some of them and did not notice any significant difference with the theoretical value. For me, it is really a good deal and a good start if you want to constitute a stock of components at a reasonable price! Of course, it is still a good idea to buy some small packs of the most used values like 1k for instance. can you write, which values are in pack. I need some standard values (2k2, 12k, 47k,...) and some pretty unstandard values (9k1, 43k, 51k, 62k, 200k,...) too. Hum... I will try to find it. I will maybe buy another pack soon. 100% truth, there is nothing wrong with parts from China after all 99,9% are made in Asia and lot of brands simply rebranding them. This is probably 1st honest pedal site i come across, amazing. There is hope for the world. Thx for post.